I have to confess that I've been a failure throughout my life. I feel like a failure when I try something I can't achieve. But is that bad? Depending on how you perceive failure, it can bring you closer to your goals, or away form your goals. You see, failure is a major credential for success. I think we all know that. Look at the toddler who tries to stand over, and over again. They fail so much, but they finally succeed! We actually get better with the amount of failures we have in our lives. We're made to learn from our mistakes. Failure cultivates knowledge wisdom and maturity. 1. 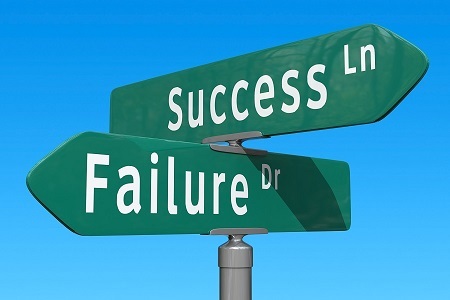 Stop and identify the root cause of your failures. 2. Apply that knowledge immediately. Having failures and solving problems is how we grow, achieve success and fulfillment.